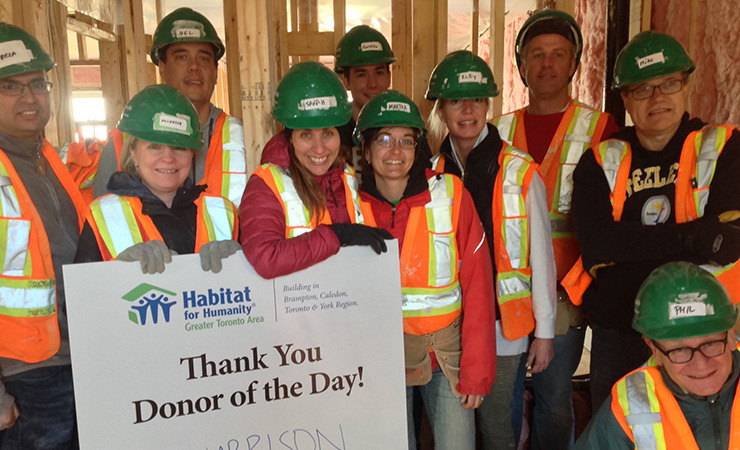 On Friday, April 8th KJ Harrison proudly participated in the Adopt-A-Day program for Habitat for Humanity (GTA) building a home for a low-income Toronto family. Our volunteering efforts gave us an opportunity to give back to the local community and make a true difference to a deserving family. We are pleased that our hard work on the construction project will contribute to giving people a decent place to live and raise their children.